how to manage its risks and pace.The book then takes readers through chapters that explore whether the time is right to grow, how to do it, and how to manage the vital reality that growth requires the right leadership, culture, and people. Uniquely, this book aims to prepare readers for the day-to-day reality of growth, offering up the lived experiences of eleven entrepreneurs. Six workshops to assess where readers stand now and a suite of templates that will prove to be useful over time help bring the book's teachings to life. 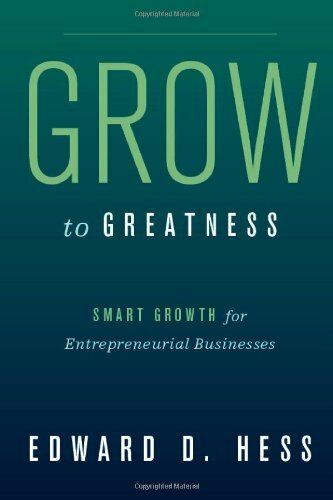 After reading this book, entrepreneurs will have a real understanding of their readiness to grow and place in the growth cycle, as well as a concrete action plan for where to take their businesses next.Many books address how to start a business, but this is a unique, go-to resource for readers who want to learn how to thrive beyond the start-up phase. The Entrepreneur Must Grow, Too!